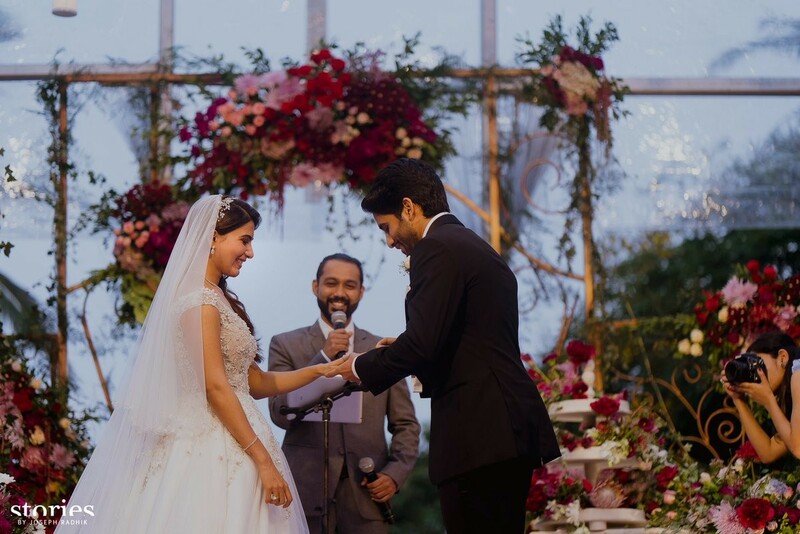 South stars Naga Chaitanya and Samantha Ruth Prabhu tied knot in two wedding ceremonies as per both Hindu and Christian wedding ceremonies. This big south Indian wedding was an intimate affair in Goa and here I bring you all the details and beautiful photos from this very wedding. 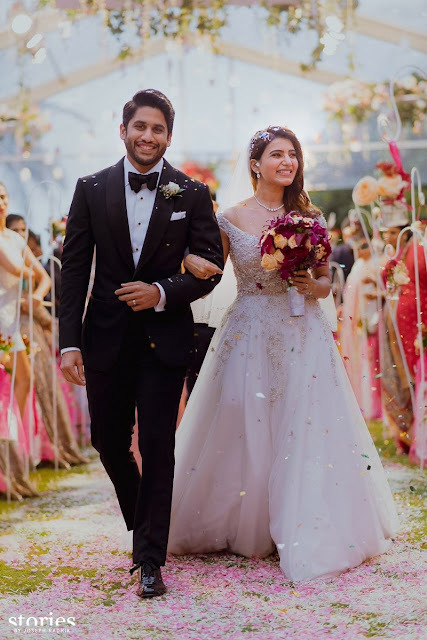 I have already covered the #ChaiSam engagement and was very excited to see what Samantha will wear for the wedding. 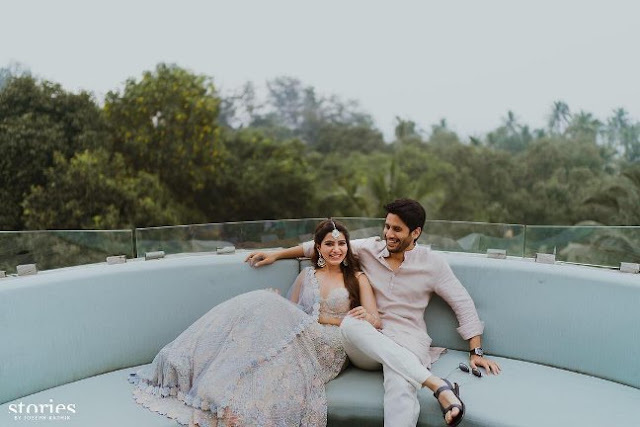 What I did not expect was for the stylish Samnatha Ruth Prabhu to go for an offbeat powder blue lehenga for her mehendi ceremony. Not just mehendi but i actually loved entire wedding wardrobe of Samntha. Lets have a detailed look. 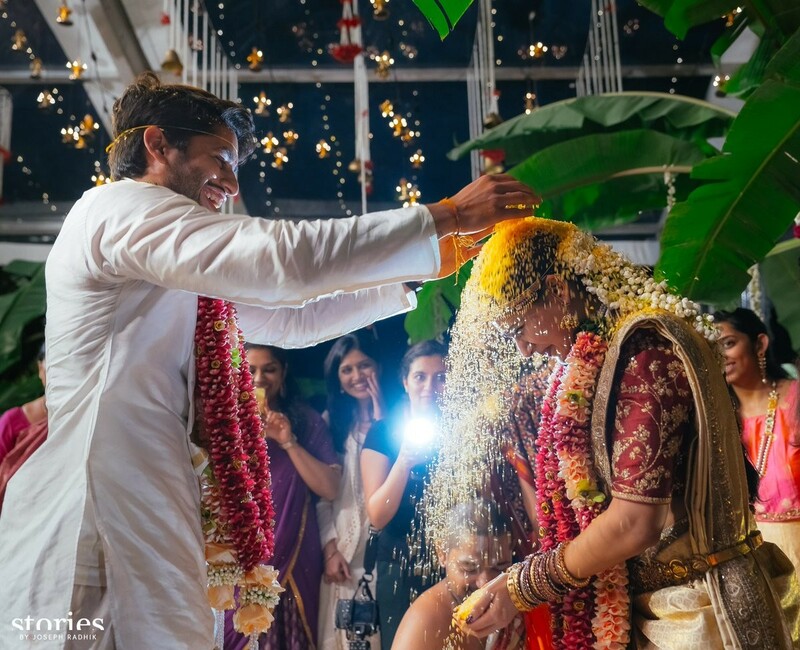 A powder blue Kresha Bajaj lehenga was outfit of choice for Samantha for the mehndi ceremony. The outfit had gorgeous pink and blue embroidery and was paired with Platinum jewelry. i love the scalopped edges the dupatta had and the blouse was perfect showing off the brides curves. 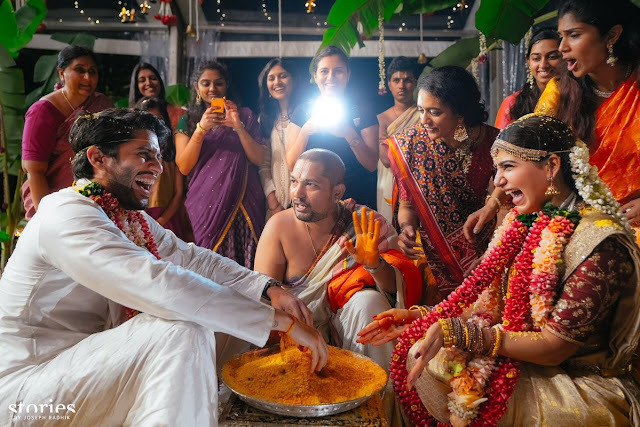 i also like how Samantha dint go the floral jewelry route which most brides choose these days for mehndi. Naga Chaitanya wore a cream coloured kurta for the mehndi ceremony. 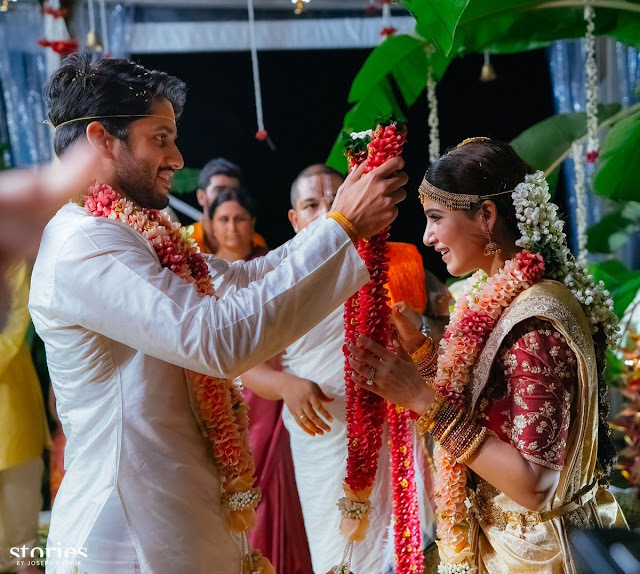 For the hindu wedding ceremony Samantha went all traditional wearing a sabyasachi blouse which was paired with Sari which belonged to Chaitanya's grand mother. Temple jewellery completed this classic saree look while Naga chaitanya matched his bride in cream dhoti and kurta. 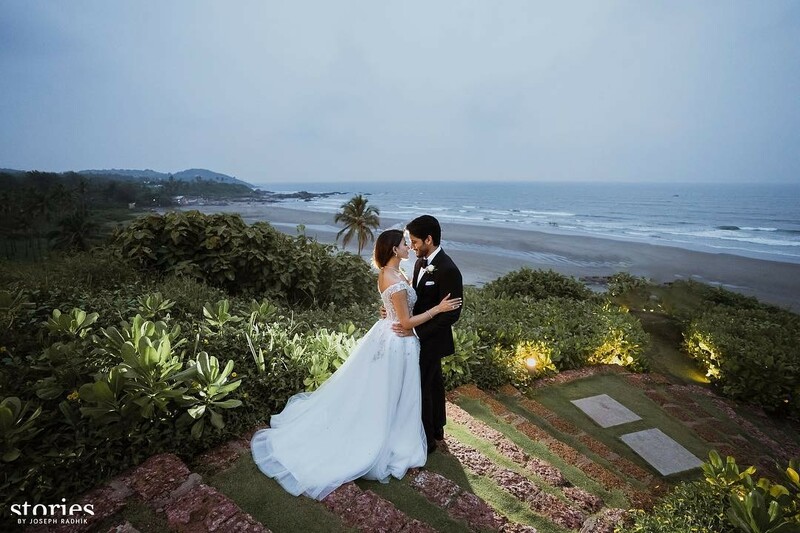 A Kresha Bajaj off shouldered gown is what Samntha wore for her christian wedding and she completed her look with diamond jewellery. Isnt it amazing that Samntha chose liliac as a colour instead of the normal white for christian weddings? 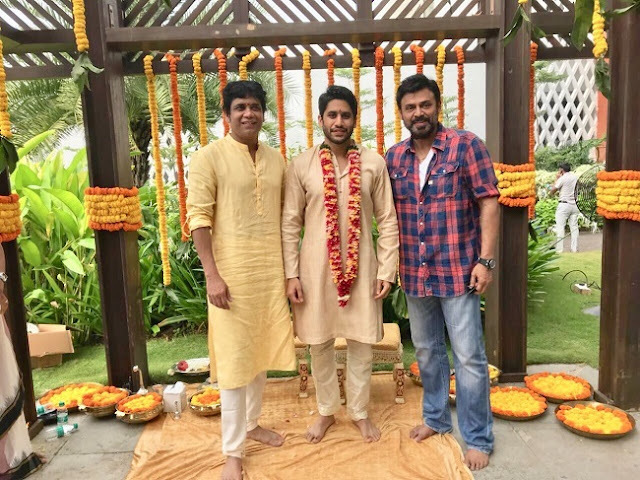 Naga chaitanya wore a black suit with bow tie. Samantha kept her wedding looking simple and classy and stuck mostly to pastel and subtle makeup. I do wish she would have added more colour in her mehndi outfit or a bolder lip but this couple looks gorgeous, happy and so in love and that is all that matters.